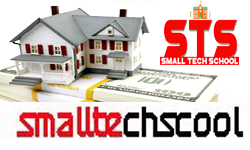 Welcome to smalltechscool. This website we have opened so that you can get all kinds of information. There is every kind of information available in the internet, but people in our country prefer to read in English. First we thought that we will share information about ways to earn money online on this blog, but we also get requests for information about other things other than Internet. Then we thought that we should make it a website where there is information about all kinds. If you want information about anything, you can ask us to broach. We will give you the complete information in English. If there is anybody who wants to share our knowledge with us, then he can contact us directly by going to e-mail or contact page. At present we will try to cover the topics given below.